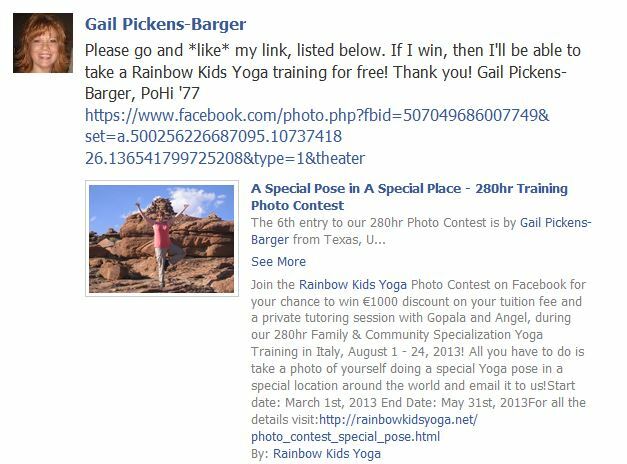 Click *like* to vote for my photo to win a Rainbow Kids Yoga training! Click here to *like* the photo. Thank you!!! Posted on March 18, 2013 by yogawithgaileee. This entry was posted in Gobi Desert, Mongolia, Peace Corps Mongolia, Rainbow Kids Yoga. Bookmark the permalink.